Hookah Diving at it's Finest! Brownie's Yacht Toys has the famous Brownie's Third Lung for rent for more fun in the water. 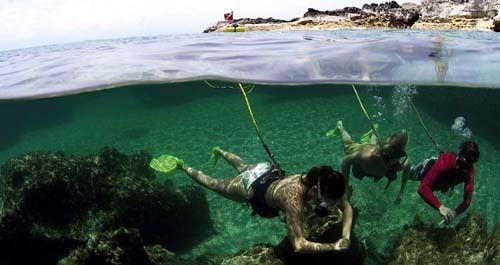 Brownie's Third Lung is also perfect for those who wish to do boat, pool and other marine maintenance. Brownie's Yacht Toys has the new Sea Lion™ Third Lung! 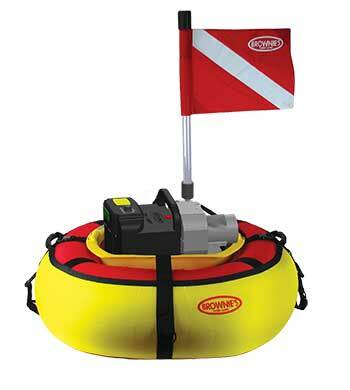 Sea Lion™ uses advanced technology and a lithium ion battery to give you a max 3 plus hours of diving time. Contact Us for more information. Brownie's Yacht Toys uses electric Third Lungs for green hookah diving. Dive in quiet comfort with the new variable speed electric pumps for economic use of energy and longer dive time.